If you’re visiting Yankee Stadium for the first time, there are, of course, a few things you should know…about getting there, getting tickets and what to eat. There are lots of choices with all of it, but here are some recommendations for newbies. 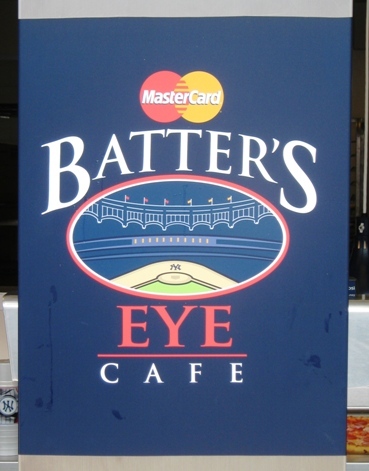 So that the batter doesn’t get distracted by the MasterCard specials. Visiting Yankee Stadium, Tip #1: Get a MasterCard. A MasterCard is a great thing for Yankees fans to have; if you’re planning on attending a Yankees game you should get one too. The Yankees offer great deals to MasterCard holders, including two for one deals and $5 tickets. If you can, get a Citi card…that will help you score a bunch of discounts if you’re planning a game at Citi Field while you’re in town. Visiting Yankee Stadium, Tip #2: Avoid the higher rows. In the higher rows of the Field Level, the overhang of the main level can block views of the scoreboards and skyline and other things you might want to look at. If the choice is a high row in the Field Level (say, 20 or above) or a low row in the Main Level, take the Main Level seat. Similarly, the high rows in the Terrace level are significantly more costly than the Grandstand seats just behind them, and the highest rows of the Grandstand level are definitely up there and acrophobia-inducing. The Yankees have a nifty virtual seating map on their website; you can see which rows are the higher ones with this. A special station built just for Yankee fans. 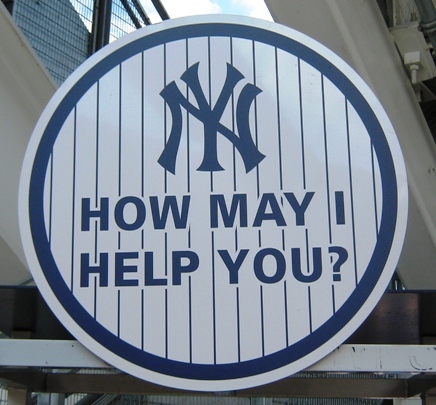 Visiting Yankee Stadium, Tip #3: Use the Metro-North or MTA. You can drive to Yankee Stadium if you plan ahead and anticipate traffic, but if it’s your first time, it’s probably better to use public transit. The B, D, and 4 trains all stop at Yankee Stadium/161st, so it’s very easy to reach from the five boroughs that way, just know whether you should use the B or D (MTA’s website will explain if you need it). 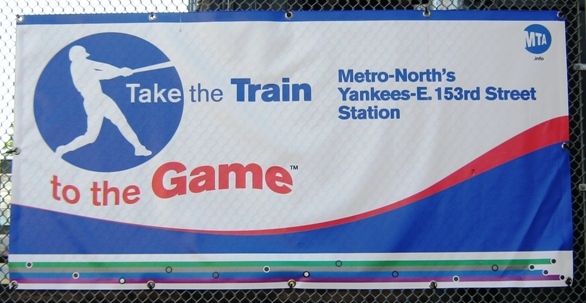 The Metro-North Yankee Stadium-153rd Street station was designed just for the new stadium; it’s a nice way to get there from the northern suburbs. The Hudson Line especially features a nice view of the Hudson River. 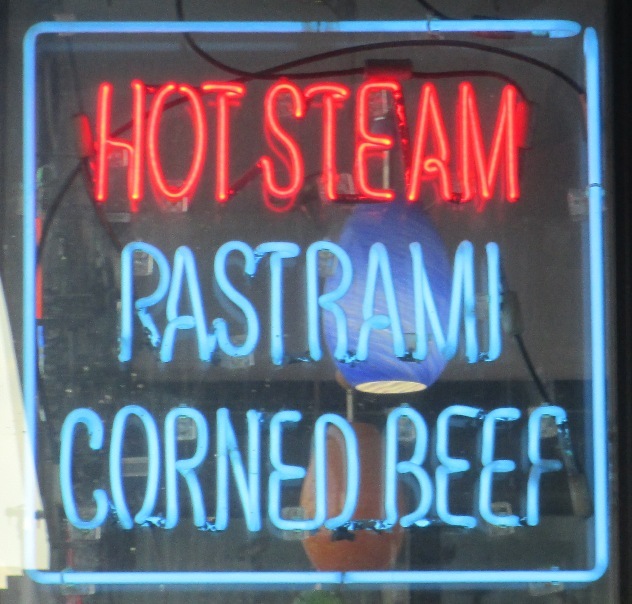 Corned beef too. Just in case. Visiting Yankee Stadium, Tip #4: Get cheap eats at the Court Deli. There’s a lot of great food at Yankee Stadium, like Lobel’s steak sandwich, garlic fries, Jersey Mike’s cheesesteaks and the Barnyard Wedding. But if you want to get a cheap sandwich to take in (yes, you can do that), the Court Deli on 161st is ideal and just a block and a half away. They sell sizable, tasteful and very inexpensive sandwiches, knishes and deli items, and you can put them in your knapsack to take into the ballpark. There are peanuts and bottled water sales on 161st Street too, so you can save a bunch on that. In the days before Facebook ads. Visiting Yankee Stadium, Tip #5: Get there early to see the history. Yankee Stadium never lets you forget that it’s the home of the most successful franchise in sports, but that’s to be expected. If you’re a baseball history buff, definitely take the time to see Monument Park and the Yankees Museum. You’ll want to get to Monument Park early; it gets very crowded quickly. The Yankees Museum features artifacts throughout the team’s history, Thurman Munson’s locker, and statues of Don Larsen throwing the final pitch of his perfect game to Yogi Berra. 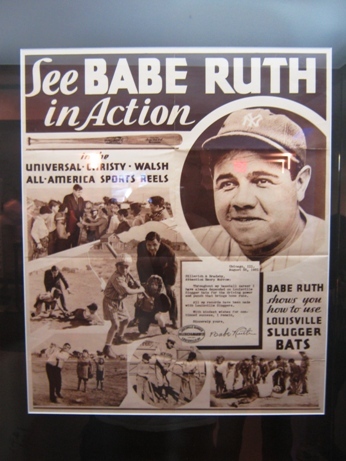 You can visit the Great Hall and the Babe Ruth Plaza too…the Yankees will always be happy to tell the stories. 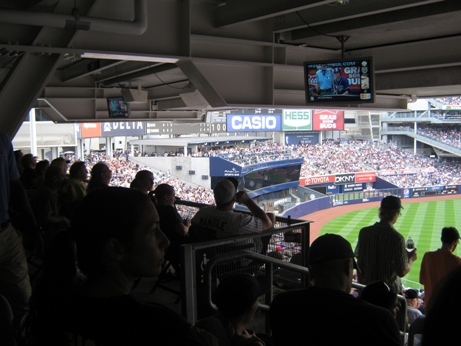 There you go; five tips for visiting Yankee Stadium for the first time. There’s also a new kids’ play area and a nursing room, so you have a great opportunity to sell this to the new mom.